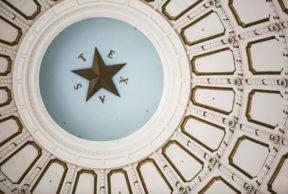 The seal of the Republic of Texas on the floor of the Texas State Capitol rotunda in downtown Austin. Texas lawmakers have reconvened at the State Capitol Building for the start of the 86th Legislative Session. That was the inspiration for this Typewriter Rodeo poem.